Keep The Following In Mind Before Pricing Your House. • Don't Overprice Your Property: This limits the number of buyers who may be interested in your house in your area. As you lower the price, the buyers may have moved on to another one that was priced right. • Savvy Buyers: Nowadays, Buyers are educated about home values. They are scanning the internet before they meet with a Realtor and will know if your house is overpriced. • Buyers Agents Will Guide Their Clients: Buyers will meet with their agents who will determine the prices of your competition and your home's value. Your house will not sell if it's not competitively priced. • It Doesn't Matter What You Paid: Buyers do not value your house because of what your have invested in it. That fact never convinces a Buyer they should pay more for it. • The Right Price: By listening to your Realtor's advice about pricing your house, you will sell it faster, it will be less stressful and you can move on to your next journey. Sure, on TV it's easy. 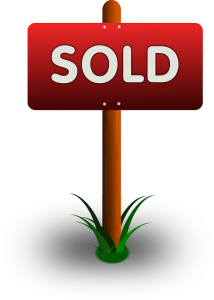 Put a For Sale sign on your front yard and, Presto - it's sold! That's TV and not really how it happens. Read on. 1. EXPERIENCE ~ Hire the team with more experience than you have in Real Estate. If you live on Long Island, hire Lawrence "Larry" & Sheila who have listed and sold in both Nassau and Suffolk County on The North and South Shore. 2. NEIGHBORHOOD KNOWLEDGE ~ Realtors know the comparable, how long a home has been on the market and even the time it took to sell. Don't rely on unreliable sources that are scattered around the internet. Many times, the information is not correct or might be dated information. A Realtor can research this information with more up-to-date data. 3. PRICING~ A Realtor can guide you with the right price based on supply and demand. We don't just give you any price you want to hear. We study the market first and give you an informed decision. 4. PROFESSIONAL NETWORKING ~ You can't network with other Realtors that will get more exposure for your house. Networking with a wide range of Professionals on Long Island and also with other professionals around the country is what you should look for in a Real Estate Agent. 5. NEGOTIATION SKILLS ~ Can you negotiate your own sale? Probably not as good as a Realtor. The right Realtor can negotiate with either the Buyer or Seller or both. Lawrence & Sheila are Certified Negotiation Specialists! 6. AVAILABLE DURING THE WHOLE PROCESS AND BEYOND ~ If a conflict arises, can you work through the details? A Realtor should be working with you throughout the process. We don't stop working when your house is sold. We follow through until you receive your keys and beyond. 7. TECH SAVVY ~ Can you get your house promoted? A Realtor who uses the latest technology to get your house sold and is very visible on the internet, will market your house to get you to the closing table. 8. MULTIPLE LISTING SERVICE ~ You can pay a flat fee service to get your property on MLS, but then what? Your Realtor should include you on the MLS but also other available sources. Lawrence "Larry" & Sheila also include you on our many websites, the top internet portals and syndicated sites locally, nationally and internationally. 9. SECURITY ~ With A Professional Realtor, you won't be showing your home alone with strangers and having your phone number listed. We use our cell numbers so none of your private information is available to buyers. 10. QUALIFIED: Can you qualify a buyer or know if they are qualified? A Realtor should have contacts to get your buyers pre-approved before accepting an offer. Lawrence & Sheila work with many professionals who can get your buyer's pre-approved for a mortgage and make sure they are credit worthy. You are indeed the right choice when it comes to picking the best agent in Long Island. With your expertise the seller can get the job done. Great advice, Sheila & Larry. Great advice, Sheila & Larry. Yes, overpricing a house can be very costly. Buyers (and their realtors) aren't stupid.